Maui onions are small to medium in size with a globular, elongated, and sometimes stout shape. The bulb is covered in thin, papery skin that ranges from light yellow to brown. The flaky skin covers a translucent, white flesh that is crisp, juicy, and firm and has many layers of white rings. 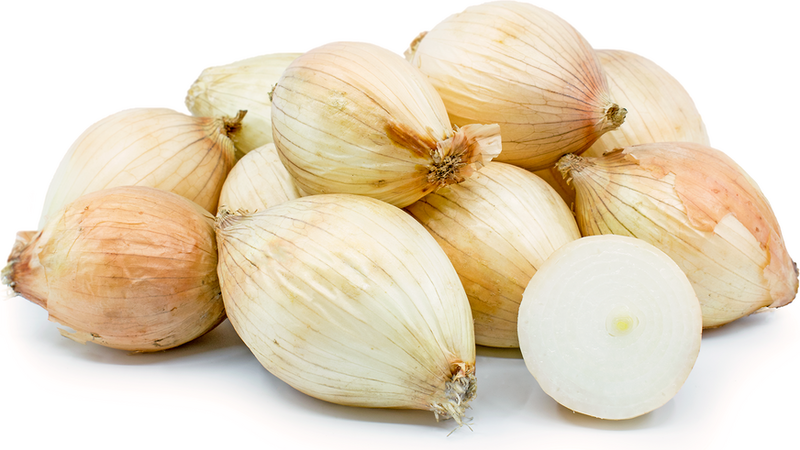 Maui onions lack the sulfur that gives most other onions their sharp taste and tear-producing odor. Their flesh also has a high sugar and moisture content allowing the onion to be exceptionally sweet, succulent, crunchy, and mild. Maui onions are available year-round, with a peak season in the spring through early summer. Maui onions, botanically a part of the Amaryllidaceae family, are a variety of sweet onion and are a hybrid of a short day, yellow granex onion. 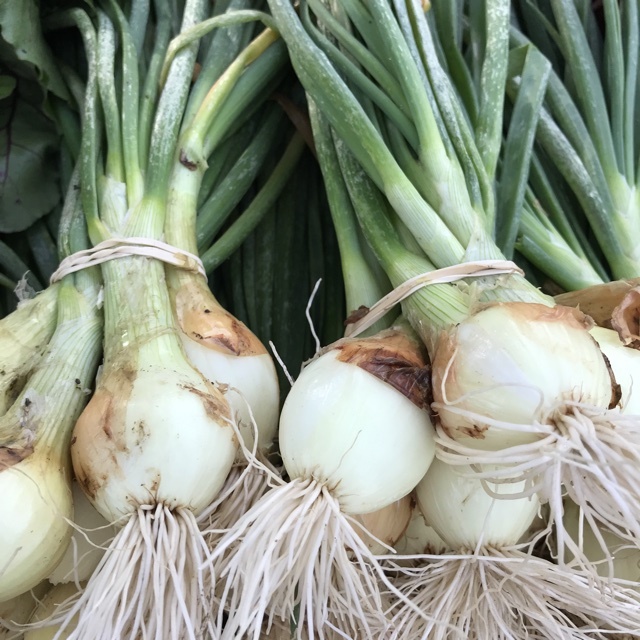 Grown on the upper slopes of Haleakala, a dormant volcano on the island of Maui, Hawaii, Maui onions are one of the first spring onions to appear and are considered one of the sweetest varieties in the world. 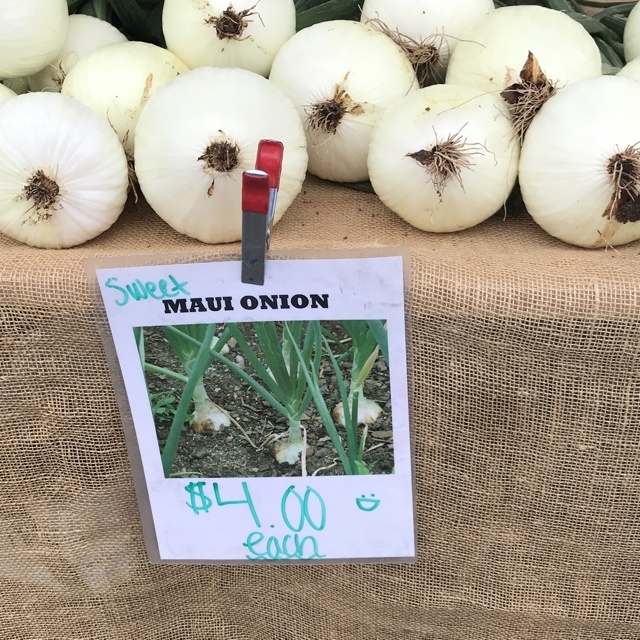 Maui onions are available in limited quantities as they are cultivated on less than four hundred acres of land and are labeled with “Kula Grown” to signify that the onion has been grown in the unique, volcanic soils. Favored for their sweet flavor, juicy texture, and ability to be consumed raw, Maui onions are versatile and used by chefs and home cooks for many different culinary applications. Maui onions contain vitamins B6, manganese, phosphorus, potassium, folate, and vitamin C.
Maui onions are best suited for both raw and cooked applications such as grilling, baking, broiling, frying, sautéing, and steaming. 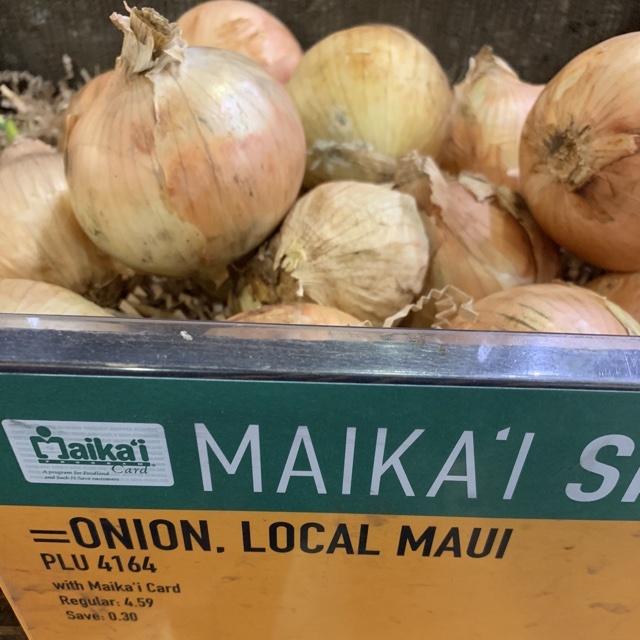 Known for their sweet flavor, Maui onions are commonly used fresh and are layered in sandwiches, chopped into salads, sprinkled with salt and consumed raw as a snack, or mixed into poke with fresh fish, seaweed, and spices. The onions can also be barbequed on skewers with meat, tossed into soups, casseroles, and stews, fried into rings or roasted and coated in balsamic vinegar and fresh herbs. Maui onions pair well with barley, hazelnuts, coffee, grilled meats such as lamb, poultry, beef, and fish, avocado, jicama, butter lettuce, carrots, radishes, cucumber, sweet corn, red pepper, tomatoes, oranges, herbs such as cilantro, dill, mint, parsley, and rosemary, yogurt, cinnamon, cloves, cumin, potatoes, vanilla, toasted coconut, maple syrup, and pineapple. The bulbs will keep 1-2 months when stored whole in a cool and dry place. When sliced, they will keep up to four days when sealed and stored in the refrigerator. In Maui, a free festival is held every April or May in the Whalers Village at the Ka’anapali Resort to celebrate the Maui onion. Drawing thousands of attendees since 1990, the festival has live entertainment, gourmet meals, recipe contests, cooking demonstrations, and onion-themed games and prizes all dedicated to the promotion of the sweet bulb. There is even a raw Maui onion eating competition to highlight the sweet and non-pungent flavor of the variety. Maui onions are native to Maui, Hawaii and have been cultivated on the slopes of Mt. Haleakala, a dormant volcano, since the early 20th century.  Today Maui onions are available in limited quantities at grocery stores in Hawaii and select specialty grocers and online retailers in the mainland United States. Recipes that include Maui Onions. One is easiest, three is harder. People have shared Maui Onions using the Specialty Produce app for iPhone and Android. 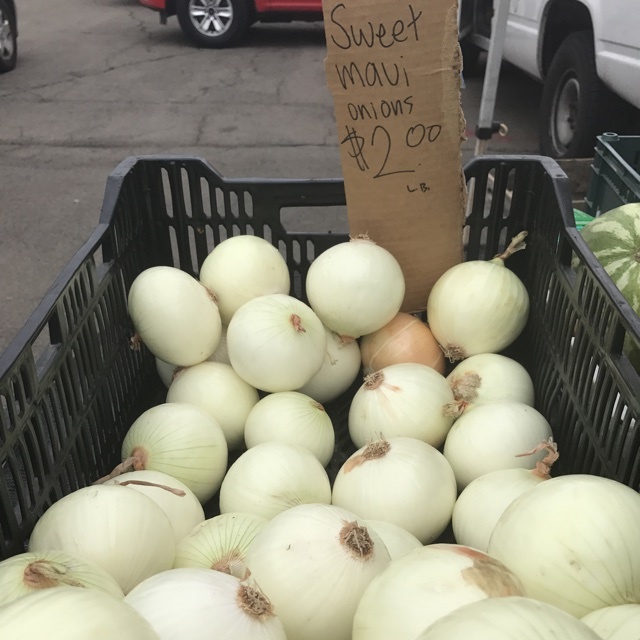 Sharer's comments : Maui Onions spotted at Foodland Farms. 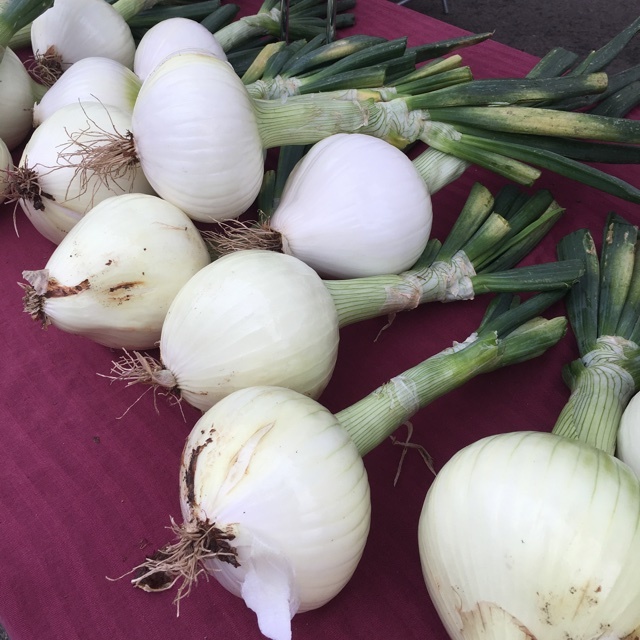 Sharer's comments : Maui Onions spotted at Brentwood Farmers' Market. Super sweet and delicious. 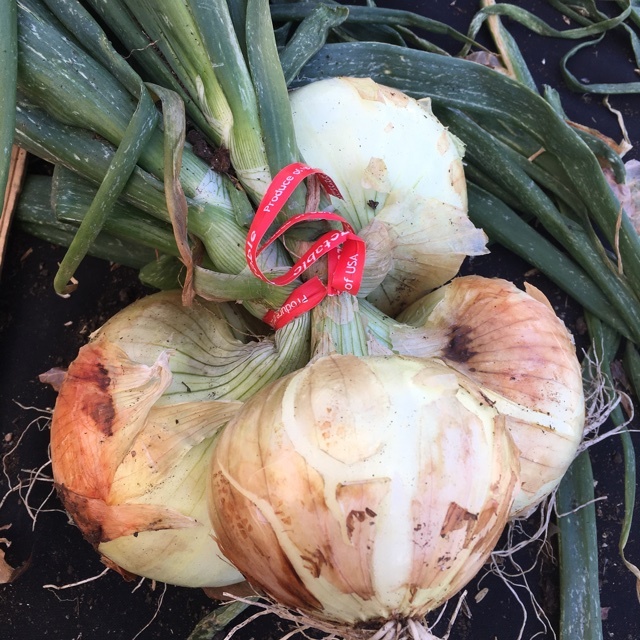 Sharer's comments : Maui Onions spotted at Vista Farmers Market.